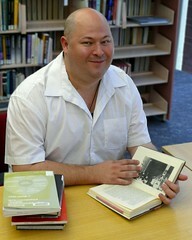 I am always reading things out of order. When I am away in a foreign country I buy books about it, but while I am there those books always end up hidden in my suitcase and I spend my leisure hours reading the books, manuscripts (yes, I travel with manuscripts!) and magazines that I brought from home. Then, one wet winter’s day back in my dreary room in Australia, eighteen or so months later, I will pull out those glamorous foreign books and start reading about a place that is by now the merest memory. And all of those little details, those places I must follow up and research, are lost to me because who knows when I will be going back there? Not this time. I was poking about in the Livraria Sao Paulo, the little Catholic bookshop run by the Sisters of St. Paul right near the Cathedral in Macau. It is actually one of my favourite bookshops in the world, a tiny little place staffed exclusively by Chinese and Indian nuns and filled with a surprisingly thorough collection of books. Perhaps not surprisingly, that collection leans toward the Catholic, but if you are anything like me you are always behind with your Catholic reading. 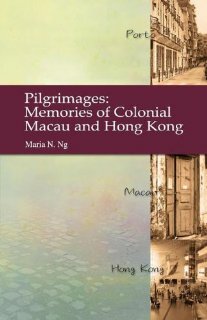 Anyway, it was here that I picked up a beautiful little book by Maria N. Ng called Pilgrimages: Memories of Colonial Macau and Hong Kong, published by the Hong Kong University Press. Something told me I had to read it now, though I also picked up some self-help books printed in India, Therese de Lisieux’s Story of a Soul and a little biography of the new Pope that the Sisters made me buy because it had been published in Macau. Indeed, I headed straight to the steps of St. Paul’s Ruins – a most apropos place to be reading this book – and began at once. Maria N. Ng is a Canadian academic born in Macau and educated by the Maryknoll Sisters in Hong Kong. In this thoroughly original memoir she takes apart the various strands of colonialism that made up her childhood and holds them up for analysis. She also investigates the dysfunctional female line of her family, using the shortcomings of her grandmother and mother to analyse her own discomfort with traditional Chinese culture. She sources the problems of the anti-woman culture in which she was raised in the teachings of Confucius. While the book works extremely well as a conventional memoir, it is also an affecting and quite enchanting travelogue, one of the very few in English that covers Macau. Of course, I wanted more of Macau, but Ng’s own strange relationship with the place of her birth stops her from feeling qualified to write extensively about it. For her Macau is as much a romantic memory as it might be for any foreign visitor. While published by a university press (and very handsomely at that), Pilgrimages is in fact a very accessible, even charming book. Ng’s skill as a writer, and her incredible thoughtfulness, make even the academic exegesis that is affixed to the memoir itself a delight to read. In many ways it is essential to read this brief final chapter to realize that, along with struggling with the ghosts of family, youth and place, the writer Ng is struggling with an academic discourse surrounding postcolonialism which she feels she might be betraying by writing so warmly and affectionately of her upbringing. So if you are headed to Hong Kong and, particularly, Macau, I do recommend you get a copy of this lovely book. A truly unique, honest and beautifully rendered look at a lost time that is now a part of the discourse of picturesque tourism in the region.